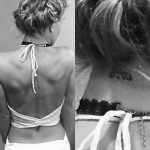 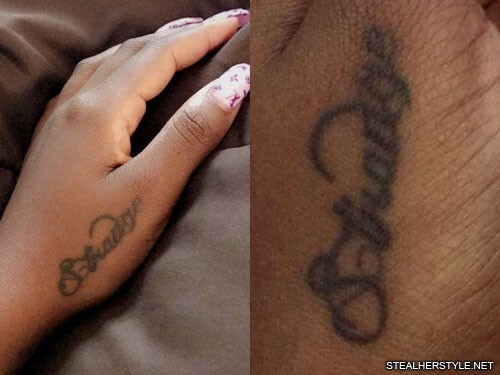 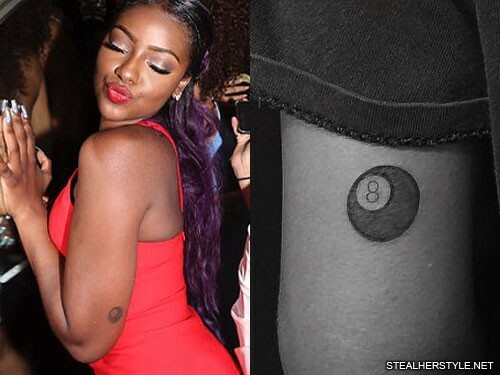 Justine Skye has a tattoo on the back of her right upper arm of two face — one sad and one happy. 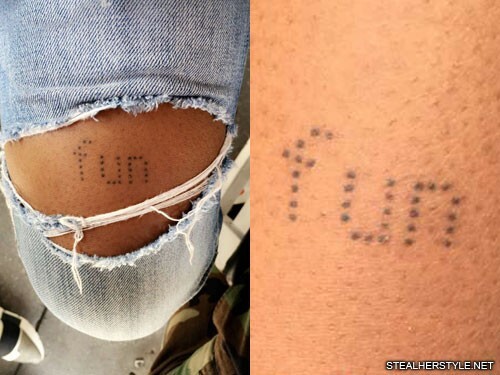 “Laugh now Cry later,” writes artist Soto Gangster. 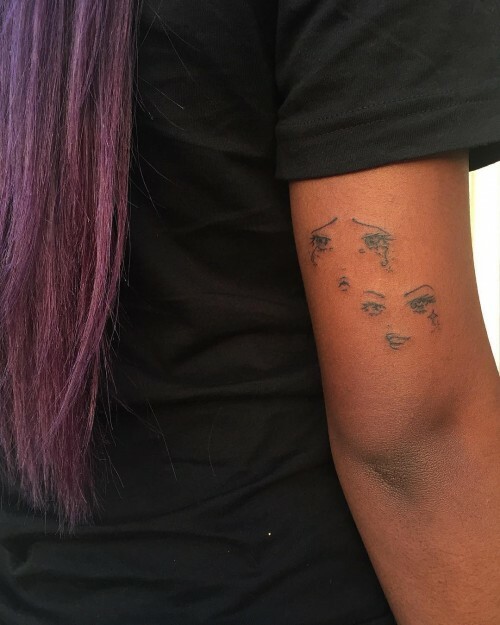 Emotive faces are one of Soto’s signature designs and she has done similar designs for many clients. 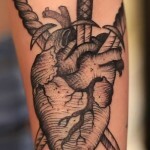 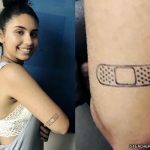 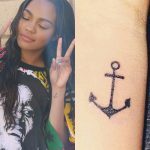 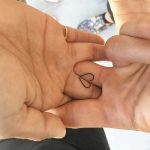 Justine got this tattoo in November 2016 in the same session as a barbed wire tattoo on her finger. 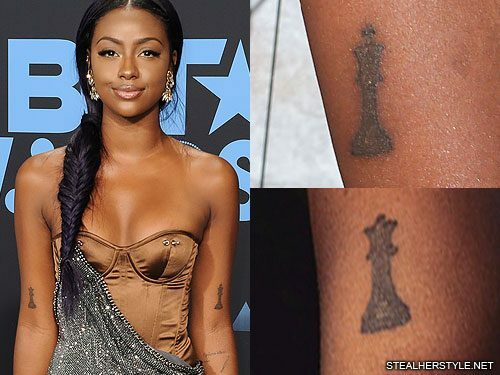 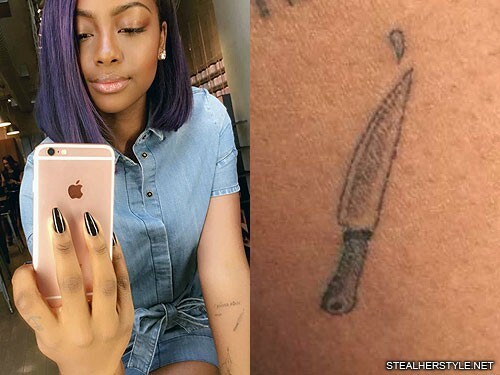 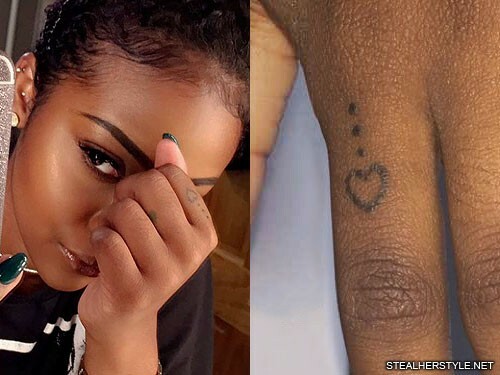 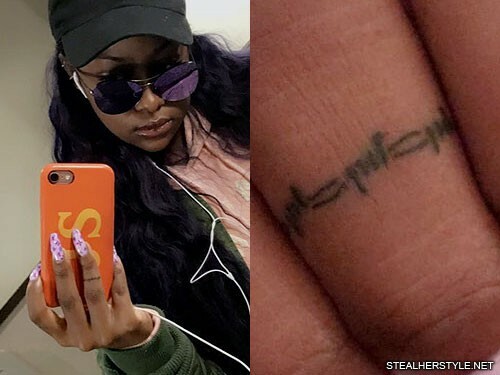 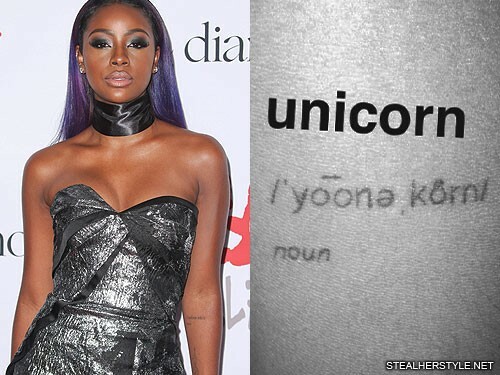 Justine Skye got a tattoo of a knife and a drop of blood to symbolize staying mentally sharp. 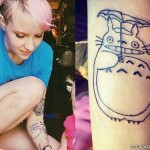 It’s on her left forearm just below her unicorn tattoo. 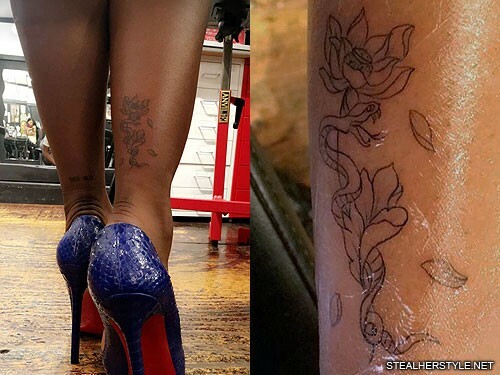 She had the tattoo done by artist Dr Woo in January 2016, at the same time as her “fun” leg tattoo.